Many students have the option of taking either the GMAT or the New GRE for the program of their choice. 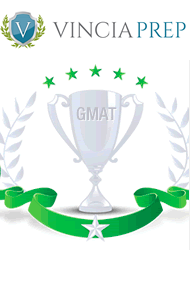 Therefore, a question that students often ask me is, "Is the GMAT or the GRE easier?". My response is often "it depends on what you're good at, but generally the GRE is easier"
Update: September 23rd 2015. The New GRE scoring system has moved closer to that of the GMAT. In general, it's still eaiser to get a medium level GRE score, but to get a top score it is now about the same level of diffulty for most people. For French speakers the GRE may still be slightly easier because many of the difficult words in English come from French. After teaching both tests many many many times I think it's safe to say that on average THE GRE TAKES LESS TIME TO STUDY FOR to get a average TOTAL score. Obviously, the results of students will vary, but most people can study for the GRE a bit faster than the GMAT. Why is this? For one, the math section on the GMAT is more difficult than the math section on the GRE. Update September 2015: This is still true for GRE scores below the 70th percentile. Above that, it's about that same between the two tests. Some people feel more comfortable with the GRE because you can use a calculator, but this shouldn't be a determining factor since both tests require you to be good at mental math if you want to get a good score. Really, the GMAT math section is tougher because it takes a fair amount of effort to get used to the data sufficiency questions, the questions tend to be a bit trickier than GRE questions, and because it's harder to figure out the steps that are necessary to solve the questions. Some would say that the verbal section on the GMAT is also more difficult. The main reason for this is because the GMAT focuses more on reading ablility and logic than the GRE. That's not to say that GRE doesn't test reading ability, it does. However, the GRE also puts a large emphasis on vocabularly which can often be improved fairly quickly. With that said, the GMAT is still the preferred choice for some MBA programs (for example, in 2012 LBS only wanted GMAT scores). This is possibly because most students take the GMAT and therefore the majority of candidates can be compared by using GMAT scores. Update September 2015: The GRE is becoming more accepted by buiness schools. The majority of students still take the GMAT, but schools won't question your decision to take the GRE like they used to. LBS still only accepts the GMAT.